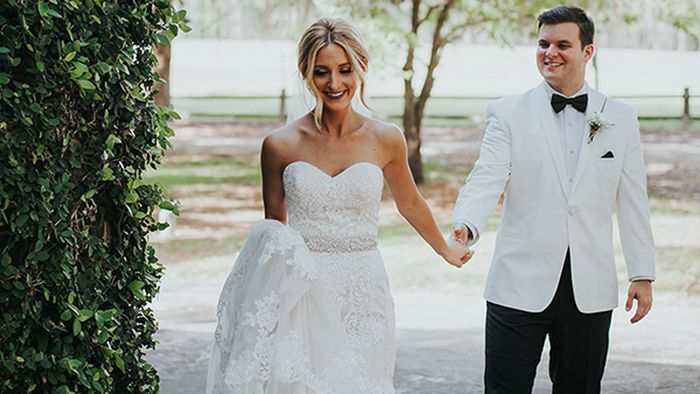 There are no brides quite like Casablanca Brides – and Leah is the honorary bride of the day, wearing our classic fit-and-flare lace wedding dress, Style 1975! 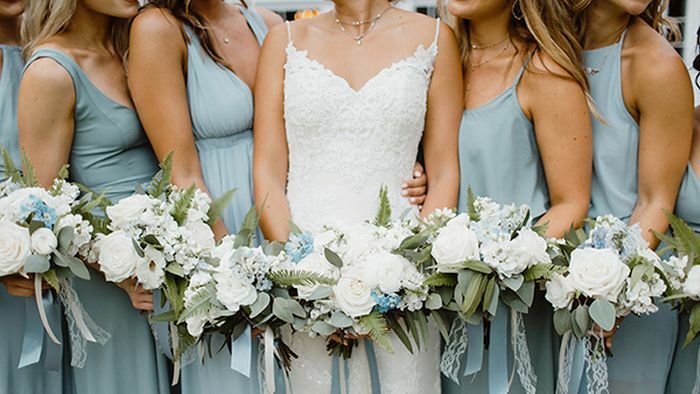 Irresistible shades of light blue and gold make this stunning, southern classic wedding day a sight for sore eyes. By adjusting the shape of Style 2345 Vienna’s original keyhole back, and adding illusion lace and a row of buttons, Casablanca Bride Michelle took this vintage-classic wedding dress design to the next level! To say that we were lovestruck when we received this real wedding in our inbox would be the understatement of the century! Casablanca Bride Mary Beth and her husband Kyle put together THE most gorgeous timeless wedding, complete with all the lush greenery and soft colors you could wish for.